The first look of Director S S Rajamouli’s much-awaited film “Baahubali 2: The Conclusion” will be shown at the upcoming Jio MAMI 18th Mumbai Film Festival in Mumbai. At the upcoming Jio MAMI movie mela, which is a section in the festival, two days will be dedicated to popular Indian cinema. 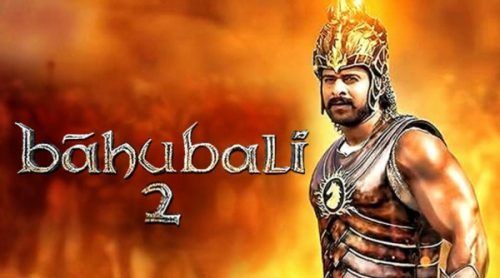 One of the major highlights of the Movie Mela is the first look of “Baahubali 2: The Conclusion” which will be showcased on October 22, a press release issued here said. The movie mela will host the cast of “Baahubali 2”, who will share their experiences on the making of the movie. The historical fiction directed by S. S. Rajamouli features Prabhas, Rana Daggubati, Anushka Shetty and Tamannaah. The film is set to open in theaters on April 28. “I am really excited to share the first look of “Baahubali 2″ with all the fans. Doing it at MAMI Mela is going to be a lot of fun. Especially with the entire cast on stage with me,” Rajamouli said in a statement in Mumbai. Also the “Baahubuli” team will launch the teaser to a virtual reality spin off film set around the world of Baahubali, and give the audience a sneak-peak into a game and comic based on the epic franchise. The movie mela will be held on October 22 and 23, at Rangmandir, Bandra. The Jio MAMI 18th Mumbai Film Festival will be held from October 20 to October 27 and it will screen over 180 films from 54 countries.